Gah! Just looked up the delivery date of the ‘Memento’ DVD I ordered, and it won’t arrive for another week and a half. Stupid non Australia production! We’ll watch it as soon as it arrives. Not ideal, but we’ll make do! I highly recommend that you don’t look up anything about the film if you haven’t already seen it, coz I think it’s way better if you don’t know what’s going to happen. 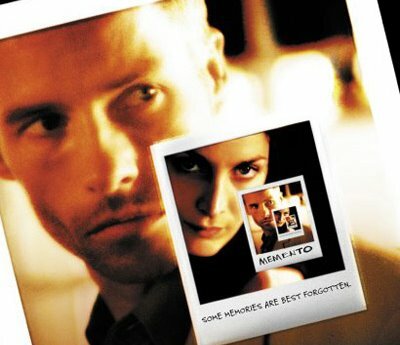 You know the film is about anterograde amnesia, and I think it’s a fascinating fictional case study of the condition. I recommend you look seriously into what this condition looks like, because (as I have mentioned) we’re going to write a media response piece on how this movie reflects the reality of the condition.